He’d love to be Dale Earnhardt Jr. for a day. He enjoys outdoor activities including camping, hunting and fishing. He also comes from Snohomish, a blue-collar city in Washington that can be a bit cold and rainy 350 days a year. 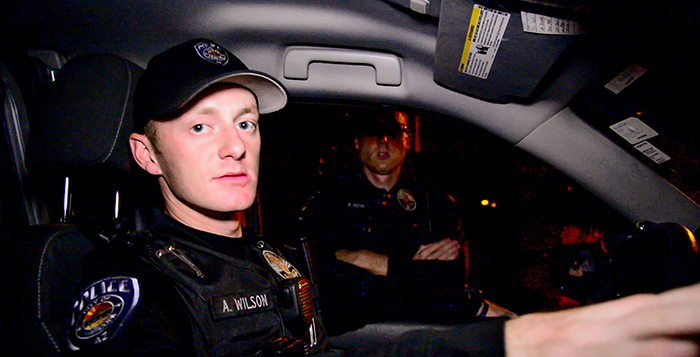 But from 9 o’clock at night to 7 in the morning, he is Officer Wilson. Ajay Wilson, 23, has served as a police officer for the Maricopa Police Department since June 2015. He recognizes his grandfathers as main contributors to his pursuit of a career in law enforcement. One of his grandfathers was in law enforcement in Seattle and the other a firefighter for 28 years. Wilson moved to Arizona at the age of 13 and attended Queen Creek High School. He was on path to college with a golf scholarship but lost interest in the sport and chose to take the road less traveled – the police academy. 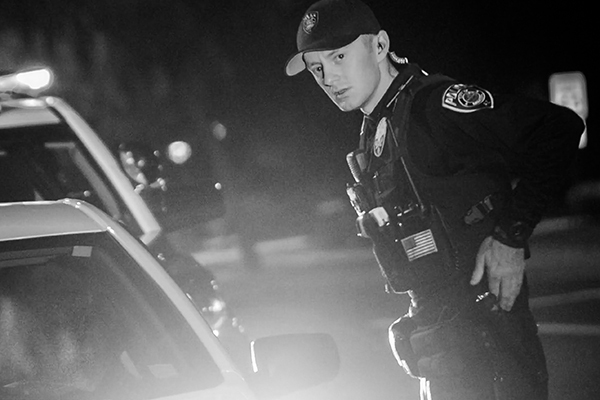 What factors should students consider when entering a law enforcement career? Students should consider the dangerous aspects of law enforcement, but realize the rewards outweigh the risks. What traits do you feel are necessary to become a police officer? You have to be willing to learn, and to fail. Messing up on the job is how you become better if you can learn from your mistakes. What type of education is needed to become a police officer? GED or high school diploma, and The Police Academy. What advice can you give to prospective students wanting to enter the field? You just have to realize that you will be in the public view at all times, and that you need to make smart decisions. What college decisions or steps should one make in order to be successful in the path for this field? All I can say is work hard to get there. Just because you fail at something doesn’t mean to give up. Don’t give up. Enrolling at 20, Wilson was sworn into the line of duty at 21. The responsibility of being a public servant includes working the long hours. For Wilson, a 10-hour shift four days a week has been his schedule the past year or so. Although the hours aren’t entirely his favorite, there is never a dull moment when it comes to being a police officer. The workload doesn’t stop the officer from enjoying what he does. The start of Wilson’s career as a police officer was something that hit him harder than any previous job. It opened his eyes to the rest of the world that most people were oblivious to, or for some, chose to block out. As someone whose duty is to protect and serve the citizens of the community, officers aren’t able to choose what they respond to. It may be the gratification knowing that this individual is making a difference in someone’s life, but for Wilson, it’s what keeps him coming back to the job knowing the dangerous and threatening situations he is exposed to. The job may come with many rewards, but, unfortunately, it comes with negative aspects, too. For public servants, at times controversies arise. Pamela Crabajales is a journalism student at Maricopa High School.